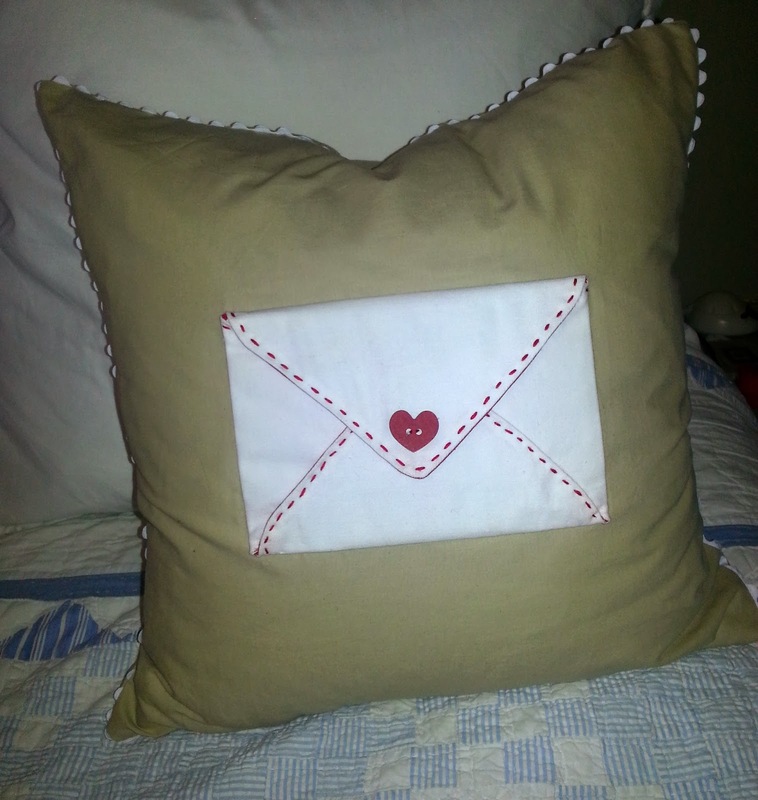 This is, for lack of a better name, is our Love Note Pillow. 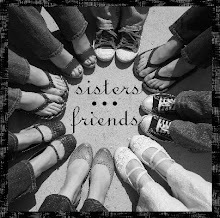 The idea is whoever has the pillow needs to write a nice note to someone else in the family and leave it on their bed. Then the recipient writes a note to someone else and passes it on. I want them to start being aware of each others strengths and appreciate the little things they do for each other but often overlook. I made a simple fabric envelope with two contrasting fabrics, lined with interfacing, added velcro to the enclosure and sewed a button heart to the front. 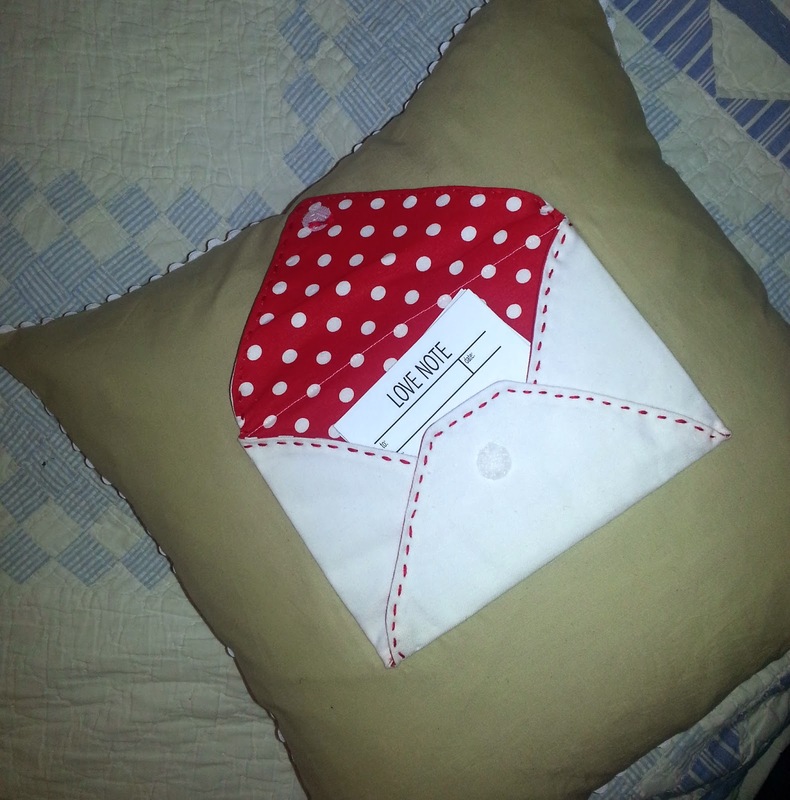 I then sewed the envelope to the pillow before sewing it together. I thought the ric rac trim was a fun touch. 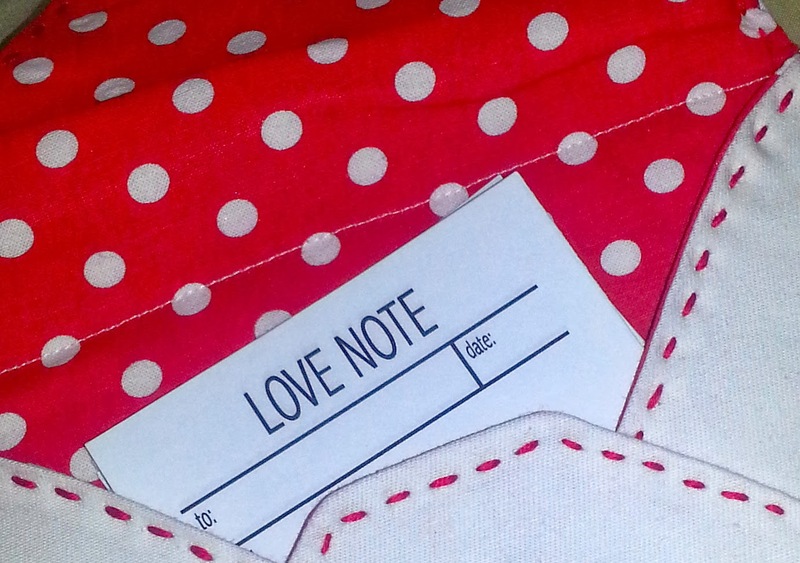 I duplicated a love note that I found somewhere on the internet and made a stack of them for the kids to use. I don't know whether this pillow will work as intended, but at least it's cute!